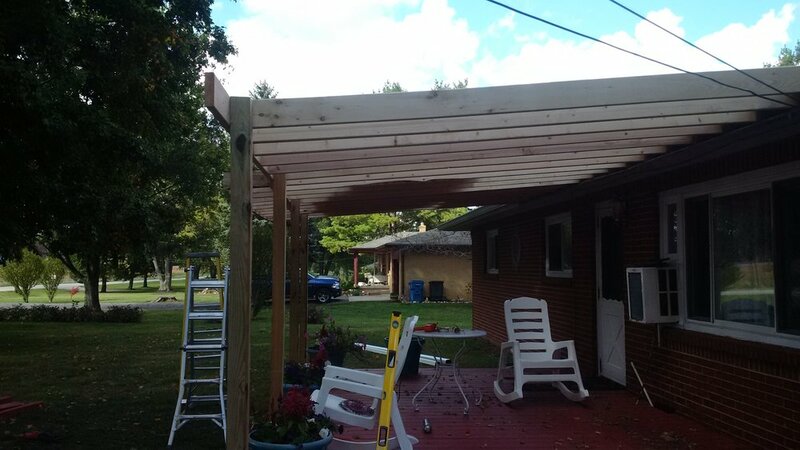 This Customer already had their deck built, they wanted to add a porch roof and steps so the first step was deconstructing part of the deck to add in steps on to this new deck construction then cut out the 4X4 posts and install new ones that where longer so we could put a 1-12 pitch roof over this new deck construction. 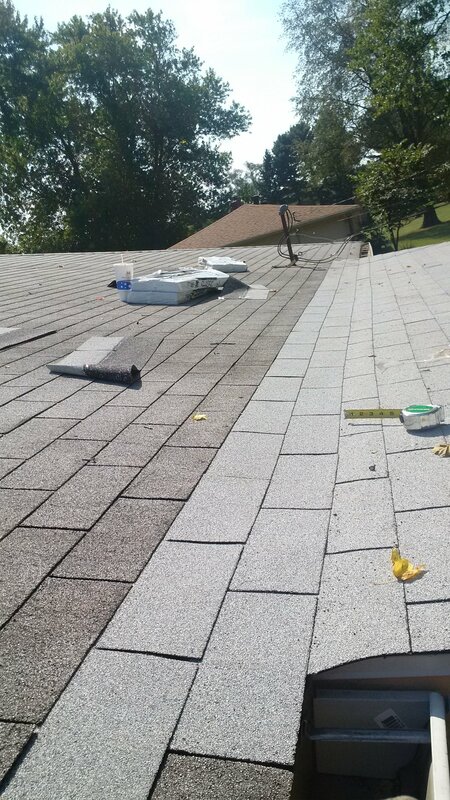 We installed owens corning roofing system, flashed it in metal. 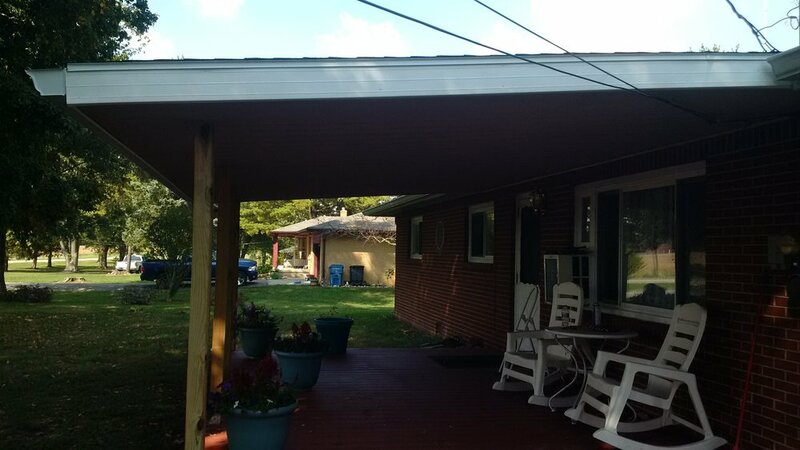 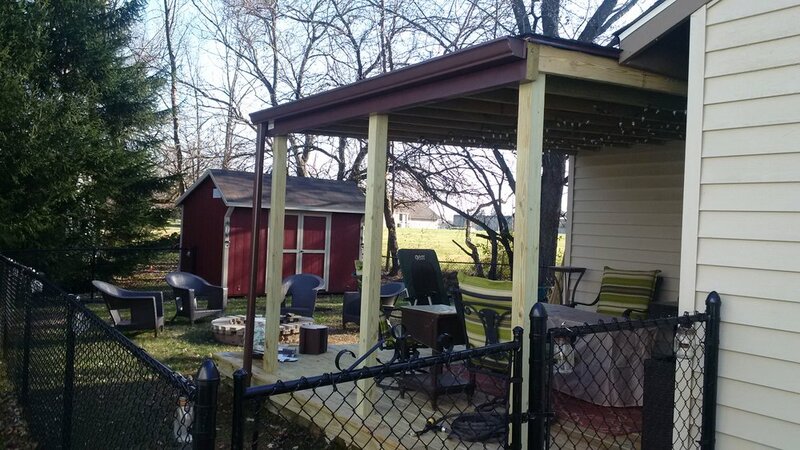 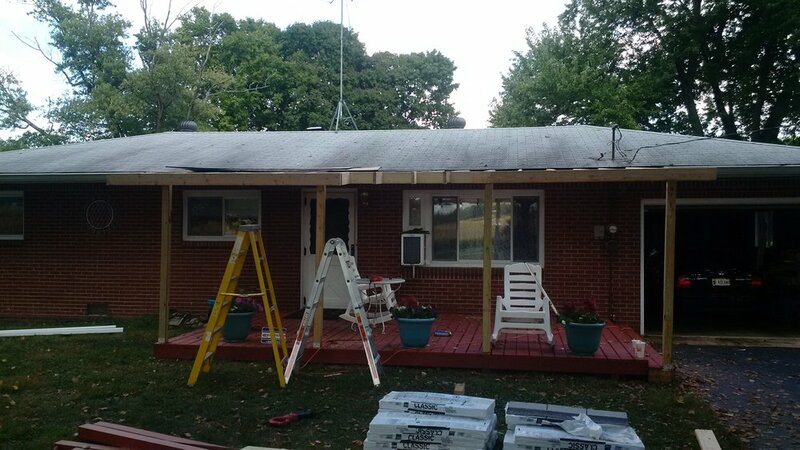 We built a new 12'X16' deck siting on concrete slab with a 12'X15' roof.